Scroll to the bottom of the page, click Delete Group on the bottom right. 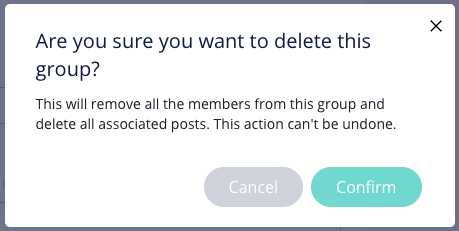 NOTE: Deleting a group will delete all posts in the group. These are NOT retrievable once they’ve been deleted.